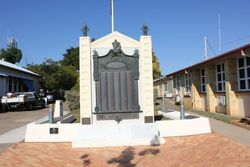 Gayndah War Memorial commemorates Australian servicemen and women who have served in all wars and conflicts. 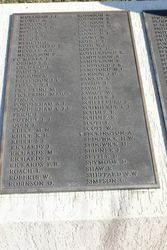 The memorial was originally erected to those who served in World War One. 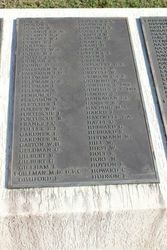 In August 1995 the memorial was expanded with the addition of names of those who have died or were killed in conflicts since World War One. The lost figure of Liberty was remodelled in bronze by Brisbane sculptor Fred Waitehouse from photographs of the original, and the rather two-dimensional bronze horsemen were cast (and made slightly more three-dimensional) from the identical figures on Gunderson's memorial at Petrie. 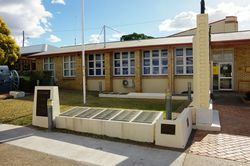 The new work and repairs to the Second World War items were researched and organised by local RSL identity 'Sam' Weller and the costs were donated by Frank Robinson on behalf of his family. A small commemorative garden includes a Krupps cannon and concrete slabs holding memorials commemorating personnel from the locality who served in World War Two, and later conflicts up to Afghanistan. 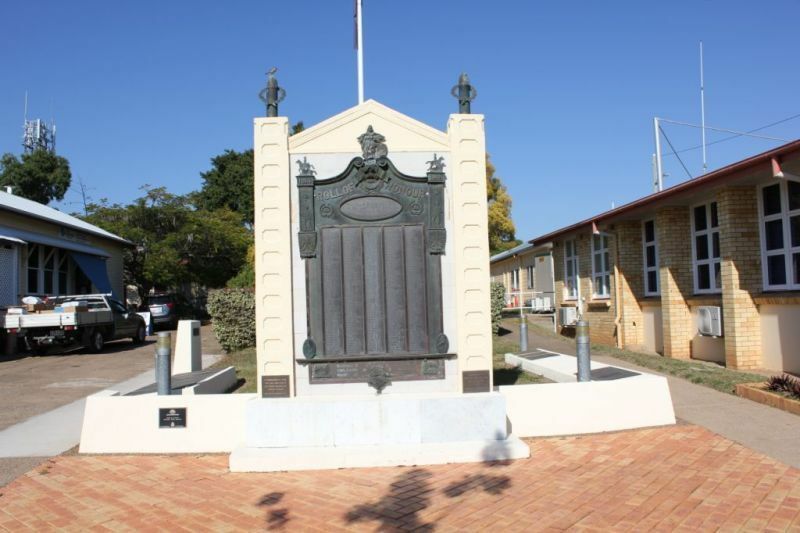 The Gayndah War Memorial in memory of those who served in World War One was presented to the Rawbelle Shire and Gayndah Town Councils by Harold Wilson. 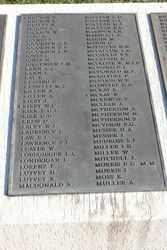 It was designed and produced by Ernest Gunderson and honours the 270 local men who served during the First World War, including those who died. 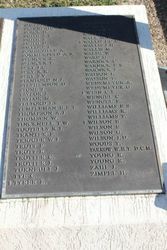 This memorial was privately commissioned by Harold Wilson of nearby Cooranga station, and then donated to the local shires. 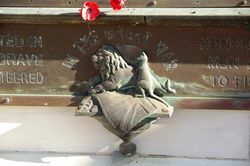 Brass memorial surrounded by symbols of the British Empire, including a combination of kangaroo and lion, miniature mounted troopers and Winged Victory are depicted with military shells on top of the memorial. 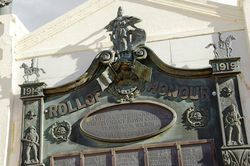 The memorial was unveiled by Mr Bernard Corser M.L.A. on the 8th September 1919. 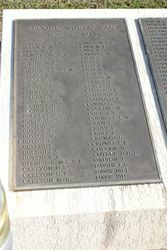 The memorial, a gift of Mr Wilson to be held by the Municipality and Shire in trust for the people cost over £300. After the speeches, war medals were presented to the children by Mrs Saddlier who lost two sons in the war, and Mrs Jackson who lost three brothers. The Brisbane Courier, 9th September 1919.